The roles of early modern women in Shakespeare’s time—both the fictional characters in his plays and the real-life women of his era—have been central to many projects created by Georgianna Ziegler, Louis B. Thalheimer Associate Librarian and Head of Reference Emerita. To talk with Ziegler about some of the exhibitions, we started with her first Folger exhibition, the strikingly titled Shakespeare’s Unruly Women. It wove together Shakespeare’s often dynamic female characters—who were reflective of his time—and the Victorian notions of womanhood that cast them in a very different light. What was your first exhibition at the Folger? I came to the Folger in 1992, and the first exhibition I did, in 1997, was Shakespeare’s Unruly Women. That was a lot of fun. That really got me into the scrapbook and art collections in a big way—the images, the figurines. I was interested in Victorian Shakespeare and in the depictions of Shakespeare heroines in the late 18th and 19th century. That was one of the first catalogues that we did with Antonio Alcála. With some trepidation, I remember, he unveiled the cover. And we loved it! He took one of the colored images, Lady Macbeth with sternly drawn black eyebrows. 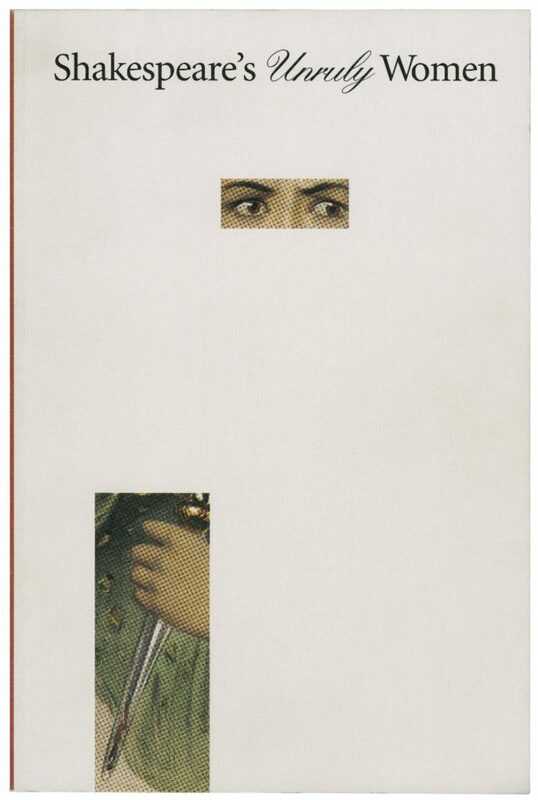 He cut out the eyes and the hand with the dagger, and placed them on a white front cover. It was so dramatic. We had never done anything like that before. Which were your favorite exhibitions, of those you worked on? 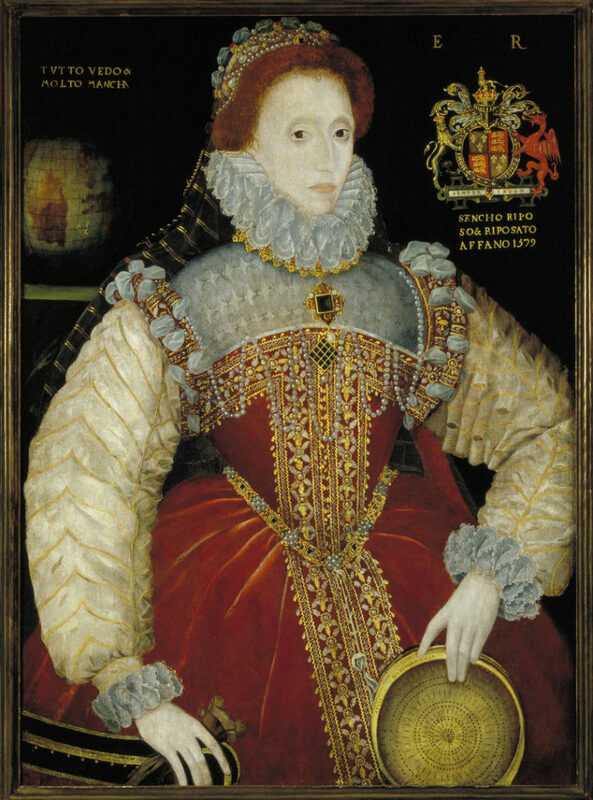 The two that I look on most highly are Elizabeth I: Then and Now and Shakespeare’s Sisters. I wrote the catalogue for Elizabeth I, too. That was a beautiful exhibition on the 400th anniversary of her death, and it did receive quite a bit of outside attention. I enjoyed doing it, because I like anything dealing with early modern women. It was quite a spectacular occasion. The Gala that year was around the theme of Elizabeth I, and there were programs with wax seals; it was called “the Queen’s Revels,” with the Sieve portrait on the front of the program. We also borrowed, from London, a stage costume based on the Armada portrait. There were T shirts, too, with Elizabeth’s signature written in glitter. Janet Griffin, the director of Public Programs and Folger Theatre artistic producer, put on Maxwell Anderson’s Elizabeth I play, with the well-known actress Michael Learned. For Shakespeare’s Sisters, about early modern English, French, and Italian women writers, we worked closely with Folger Poetry, producing a limited-edition volume of new poems and pieces by modern women writers. There was a really robust website. It’s been dismantled, but much of it is available on Folgerpedia. I used outside scholars and interviewed them for the website and audio tour. The scholars specialized in different writers—Margaret Hannay for Mary Sidney, Jane Tylus for Gaspara Stampa, and so on. 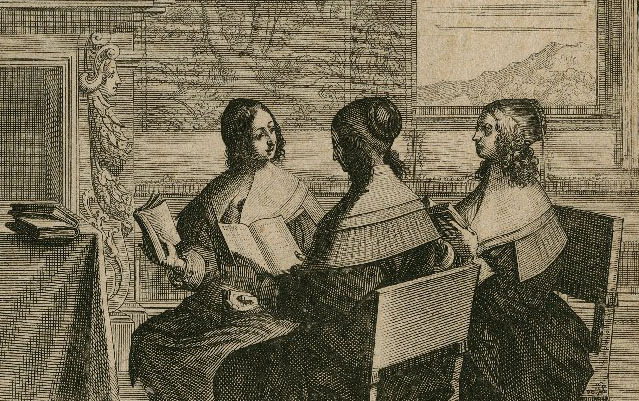 We included the voices of these women scholars to try to bring alive the voices of the early modern women writers. The Sieve Portrait of Elizabeth I. Folger Shakespeare Library. You were also one of the scholars recorded for the Shakespeare’s Sisters website and audio tour—you talked about the calligrapher Esther Inglis. Tell me more about your research into Inglis. I know you wrote an encyclopedia article on her. Yes, I did, for the Biographical Dictionary of Scottish Women. Right now, I’m thinking of various projects I might pursue, and one that I’d like to do is an edition of the dedications to the Esther Inglis manuscript books. She wrote dedications to almost all of her small books, and I’ve already transcribed a number of them, going around to different libraries. But I’d like to do this as a project, and do a published edition of them, because nobody has. Esther Inglis. Octonaries upon the vanitie and inconstancie of the world. Folger Shakespeare Library. While you’re interested in her writing, she is primarily a calligrapher—and we think she did the embroidered bindings, too, is that right? We think she did the embroidery for her books that have embroidered bindings—and, of course, the calligraphy. Those books are some of my favorite things in the collection. So how were these books done? Would she create one of these exquisite booklets, and then make several copies of it, in different styles of calligraphy? The texts themselves are not original. She would use known versions of the Psalms in English or French, or copy various poems—quatrains, couplets, versions of the Proverbs, and so on. But what she did, for almost every book, was to write her own dedication, and that’s what I’m interested in. It might be to the Countess of Bedford, or to Prince Henry, or to Maurice of Nassau on the continent, or to the Duchess of Rohan, or to Antony Bacon, Francis Bacon’s brother—so, to all of these different people. This story is from an interview with Georgianna Ziegler, some of which appears in the Summer/Fall 2016 issue of Folger Magazine. The magazine is complimentary for members of the Folger. In this case, some content is repeated from the magazine; we’ve made slight changes to the text to make the excerpts work together.